Government grants alone will not create the green revolution ministers want to see in the car market. Limited subsidies of up to £5,000 for purchasers of ultra-low carbon vehicles (ULCVs) are welcome but need to be followed by more radical incentives such as a so-called feebate system under which purchasers of the greenest cars get a significant rebate – potentially several thousand pounds – while buyers of gas-guzzlers pay an extra fee over and above the saleroom price. The aim is to make the scheme revenue-neutral to the Exchequer and hence the tax-payer. Such a scheme is already in place in some other European countries including France where rebates of up to €5,000 are available to buyers of the most eco-friendly models. The French initiative has been so successful that after its introduction in 2008 CO2 emissions from new cars sold fell by 6%, twice the EU average. Much more also needs to be done to allay drivers’ fears over range, reliability, battery life and residual value. These are amongst the conclusions of a report by academic and consultant Ben Lane, published today by the RAC Foundation. The report finds compelling evidence that showroom incentives, rather than reduced rates of so-called circulation taxes like VED, will be critical to persuading drivers to buy the new generation of green vehicles which are currently – and in the short to medium term are expected to remain – much more expensive then equivalent petrol and diesel models. For example the new Nissan Leaf and Mitsubishi iMiEV will still cost around £24,000 – after taking into account the £5,000 grant – while the greenest Ford Focus ECOnetic diesel car is in the showrooms at about £17,000. Ben Lane says even enthusiastic early adopters of ultra-low carbon vehicles such as plug-in hybrids and pure electric cars are generally only prepared to pay a premium of 15% over conventionally powered cars. • Charging at home for owners of battery-powered cars; 80% of car-owning households have access to off-street parking. • The lack of public awareness and knowledge of low carbon vehicles. • Evidence that concern about climate change is not enough on its own to encourage people to buy green. • Giving motorists the chance to gain ‘hands-on’ experience of driving ULCVs to raise acceptance and expectations. • Address people’s concerns that there will be a second-hand market for ULCVs and they won’t be left with an unsalable vehicle. Dr Ben Lane is director of Ecolane. He has over a decade of experience in academic research and as an independent transport consultant. His work has included a wide range of transport related environmental fields including cleaner vehicle technologies and non-car travel modes. He has advised government, local authorities and businesses on how to reduce transport emissions. He is also co-founder of the consumer green car website www.nextgreencar.com. 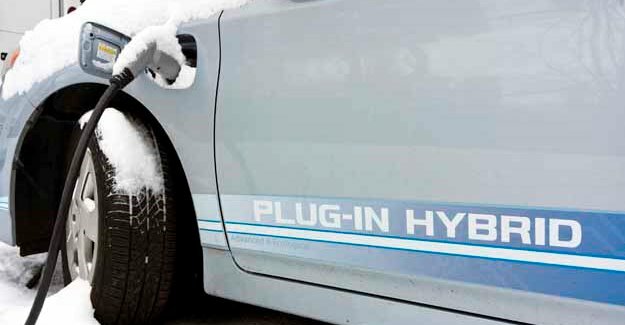 On 1st January 2011 a government scheme began, under which buyers of plug-in vehicles can get a grant of up to £5,000. £43 million has been made available to fund the scheme between its start date and the end of March 2012. If every successful applicant received the full grant then only 8,600 people would benefit. The scheme will apply to those purchasing an electric, plug-in hybrid or hydrogen fuelled car. In order to be eligible, cars must meet appropriate safety standards and must have been crash tested. They must also meet minimum range and performance criteria.